Nothing can be neglected and these days user experience is an important factor for the success of any business model. It’s essential to have a good user experience for any business that urges to spread productively. 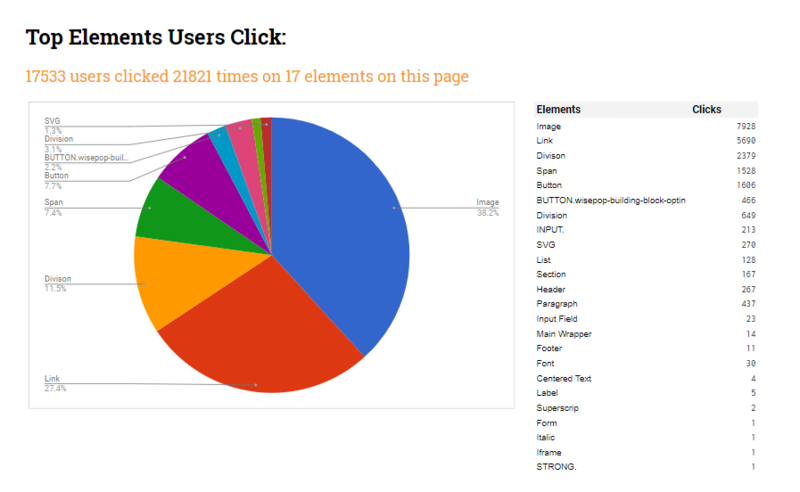 So how these users discover any application or website? And once they reach there do they leave or stay? Are they regular users of the same and do they recommend it to others as well? When we talk about user experience, loads of questions pop up in our mind. But one fact remains that UX Sniff can understand and measure a website’s user traits by using a specific model. Since users can be strange in terms of their activities on a website, it’s crucial to rethink on how to track them. Technical metrics control the conversion rates, retention time or page impressions which actually decides the performance of any digital media. These can also indicate the user’s activities on a website but cannot predict the cross-platform and outside the product user behaviour. Whatever is the action of the user, good or bad it will influence the usage of the product and impact the perception of a brand as well. Therefore, such kinds of consultants can comprehend the causes as well as the effects of a website easily with their user tracking system. Websites gain popularity if they are responsive and knowing the device is also important, therefore this company uses its script to learn the device elements used for visiting a website. We know that understanding users and their activities is a complicated task and this can vary individually. 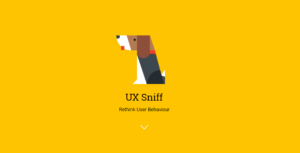 UX Sniff has a tracking script that connects with the customer’s behaviour and their psychology. On the other hand, every customer is important and knowing their needs can be tough. Reading customer’s actions will help to comprehend what is trending and where exactly the website stands in this competitive world of business. Now, let’s see how these consultants actually work. They actually unveil the interesting and funny behaviour of the users of a business website using their script. Most of the search engine index websites have comprehensive navigation with user-friendly interfaces. So their tracking script captures every moment of the website with a user on it that spends less or more time. The script displays web pages mostly viewed by the potential customers, web pages not attracting customers and web pages not gaining visitors. A good example would be E-commerce websites because they get success easily, as they know their customer’s needs by keeping a close eye on the analysis of the website’s user behaviour. Every website has different users around the world, which can sometimes make it difficult to connect with the right customers and make an online presence. 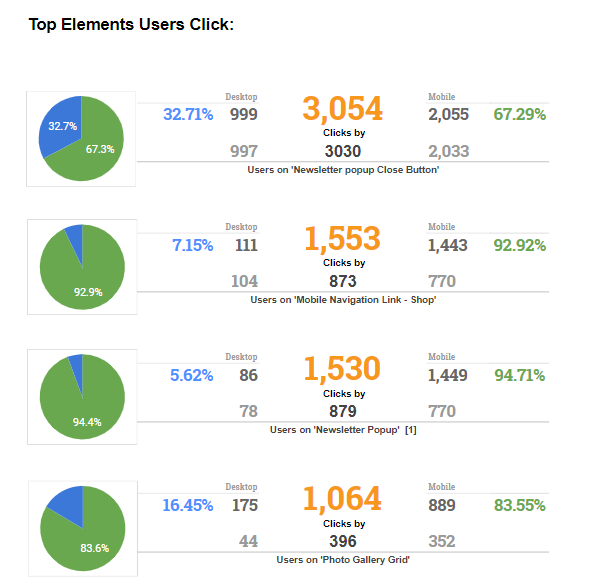 This company has a simple to use tracking code which will investigate and generate clicks on checkout reports to help make the website more effective. Numerous websites have gained benefits from this service and have increased their conversion rates from 2.2 %to 18.90 %. Indeed, businesses got a huge leap in terms of page views, clicks and conversion rate after this decision. The report served by them is an extensive one giving an accurate transparency about the website’s monthly page views, clicks on checkout and conversion rate coming from different countries. 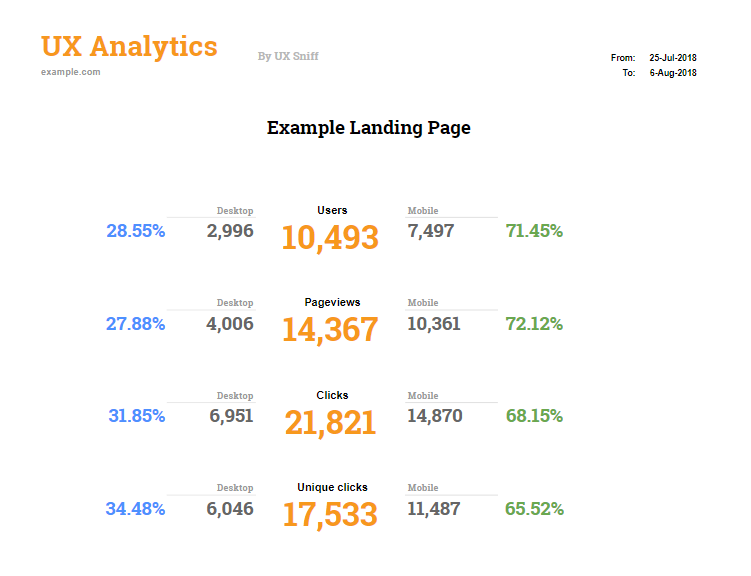 Additionally, it also displays traffic coming from keywords used on the website and landing pages. To avoid bounce rate it is very important to keep visitors glued to a website but on the other hand it’s a tricky task as well. There are many websites that fail to do their good sales and this is because they have a huge bounce rate. Actually, bounce rate can make a website rank bad in the search engines and this definitely affects a brand’s online persona. In the long run, a business may suffer a lot because of this. So to avoid this situation it’s extremely crucial to know the missing elements on a website. A UX consultant is capable of giving a clear picture of this scenario by their tracking script which is easy to download. They will give a UX review analysis report as well to help overcome failures and poor performance of a business website. Website owners always crave to know which link or keyword will attract their potential customers. In contrast to this, a running website always needs an update of links and keywords so that it can compete nicely with its competitors. The tracking system is developed in a way that deeply analyses which webpage link brings more customers. They have a specially designed tracking model, which takes care of a website and ensures to give a complete diagnosed report of a website’s visibility. Their tracking script acts as a webmaster tool for a website, it’s easy and simple to use for anyone. So now no more complicated scripts or heavy plug-in needed to get behaviour analytical reports. Remember, to understand the user of a website is quite essential if a business aims high in terms of growth and sales. It would be appropriate to say that UX Sniff has a hassle-free tracking method which is fast and easy to apply in order to see the user’s bustle on a website.